Hold impromptu video calls (Hangouts) that don’t need to be recorded. Add a virtual component to family reunions. Host weekly or monthly recorded Hangouts on Air to share old family stories, photos, and heirlooms. Create your video diary using Hangouts on Air, posting the video link in your private Google+ Community. 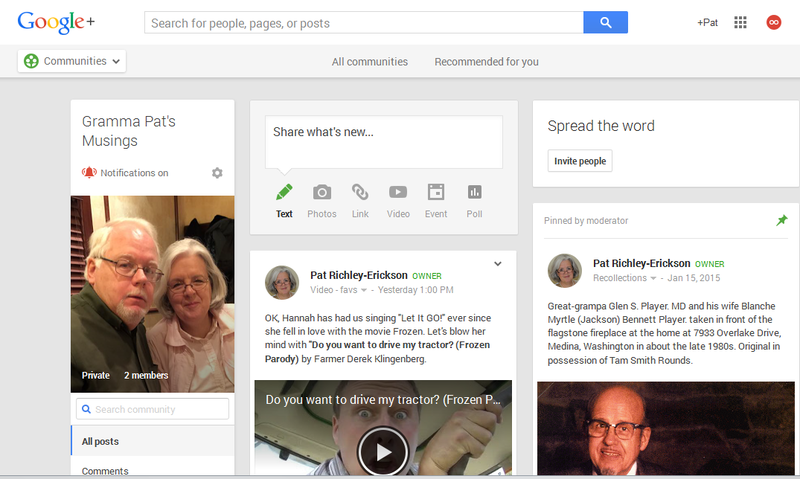 DearMYRTLE shared her family's private Google+ community Grandma Pat's Musings where photo and video posts are archived for her children and grandchildren. Posting one photo at a time, with a paragraph or two about the ancestor makes it was to write a family history, one episode at a time. 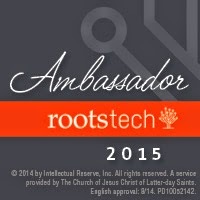 WHAT OTHER ONLINE GENEALOGY EVENTS ARE AVAILABLE? Check the GeneaWebinars Calendar for exact dates and times for DearMYRTLE study groups in addition to over 200 hours of online genealogy classes, webinars and tweetchats from other hosts and presenters in the next 12 months.